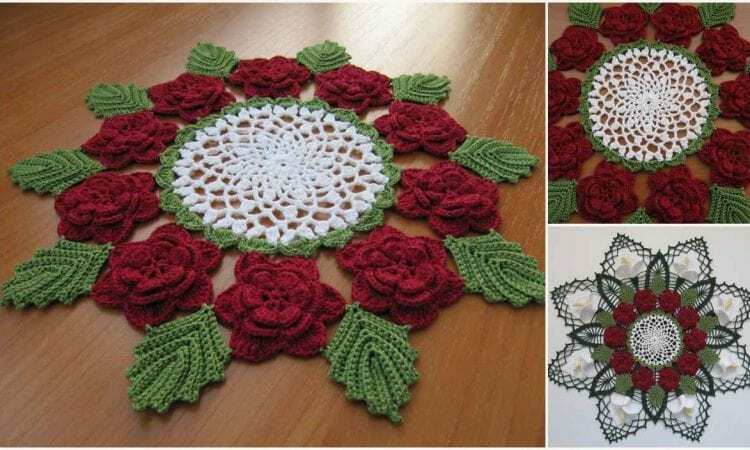 Here is an intricate, yet easy to make doily in using the traditional Victorian rose motif. This beautiful doily is sure to be a favorite centerpiece or conversation starter in your home. All that aside, this pattern is actually quite easy to make, and requires just a few basic stitches. This will definitely be a great way to enhance the decor of your house. In the second photo, you see this Rose Doily combined with Calla Lilly Buffet Set Free Crochet Pattern. Enjoy! A link to the free pattern is at the end of the post. More info about NIkOLYA’s project you can find here.